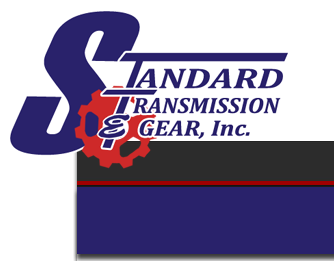 Standard Transmission & Gear now has the best OEM Clutch Kits available for sale. Give us a call or request a quote. Heavy Truck, Medium Truck or Light Truck, sooner or later the factory clutch assembly will need to be replaced. Whether you drive an 18 wheeler, a medium duty bobtail or a high performance diesel pickup, ValAir offers an array of quality new and remanufactured replacement parts at a competitive price. Our customers get an equivalent or better than stock replacements at a fraction of the dealer price. HEAVY DUTY - Class 6,7 & 8 Clutches ValAir has been rebuilding Clutch Assemblies to exacting specifications for over a decade. ValAir uses the finest friction materials and parts. The parts are quality inspected and come with 12 month warranty at a price that will make you glad you purchased a genuine ValAir replacement part. Valair now offers NEW made in the USA 15" Spicer clutches at a fraction of the dealer cost , being able to offer your customer a new class 8 clutch at super competitive pricing increases your chances of a sale and not having to worry about core costs. Give us call to discuss pricing. PERFORMANCE - Diesel Trucks (3/4 & 1 Ton) Whether you are looking for a stock replacement, a towing clutch, or a high performance clutch, we have just the clutch for you. Our new performance series of clutches are built Texas tough and built to last. What is the reason for replacing the clutch assembly? Did the clutch wear out? Did you experience a clutch failure? If a failure occurred, did you fix the cause of failure? Do you have a service manual for your vehicle to resource information regarding bolt torque specification, special tools that may be needed and installation instructions, etc.? Do you have a non-petroleum cleaner such as, acetone or brake cleaner to clean the surface of the pressure plate and flywheel prior to installation? Do you have a torque wrench to properly torque the flywheel and pressure plate bolts? Do you have an alignment tool to properly line up the disc to the transmission? Do you have someone to resurface your flywheel? Do you have a new throw-out bearing? Do you have an apparatus (Transmission jack or floor jack adapter) to support the weight of the transmission during installation to avoid damaging the disc? Pay close attention when removing components (linkage, bearing location and mounting, bolts and their length, etc.). Take notes or pictures for proper re-installation. Inspect all clutch related parts (clutch fork, clevis, pins, hydraulics, etc.) for signs of wear or damage. Does the new disc slide smoothly and spin straight on the input shaft of the transmission? Has your flywheel been properly resurfaced, balanced, and does it meet OEM specifications? Are the dowel pins (if applicable) in the flywheel secure, straight and smooth? Lubricate the input shaft spline with a dry graphite lubricant or a light coat of lithium (white) grease. Did you check to make sure there is no grease or oil on any friction surfaces? Tighten all bolts to proper torque specifications. If your vehicle is equipped with a clutch adjustment, refer to your (an) owner’s (service) manual for adjustment procedure. Did you complete your warranty card?